Getting ready to lay the smackdown. Tonight, the WWE will launch a new era, as their flagship programs, Raw and Smackdown, will draft talent rosters exclusive to each show. The brand extension (or brand split) was a concept first introduced by the company in 2002 that ran until 2011. In addition to exclusive rosters, each show will be ran by one of Vince McMahon's children. His daughter Stephanie will lead Raw, while Shane gets control of Smackdown. To celebrate Shane O'Mac's new gig and the excitement surrounding tonight's live show, sneaker customizer Mache laced him up in a new pair of Air Jordans. Perhaps McMahon's favorite model at the moment, the Air Jordan 1 sports classic blocking, but with trademark Smackdown blue in place of red throughout the upper. 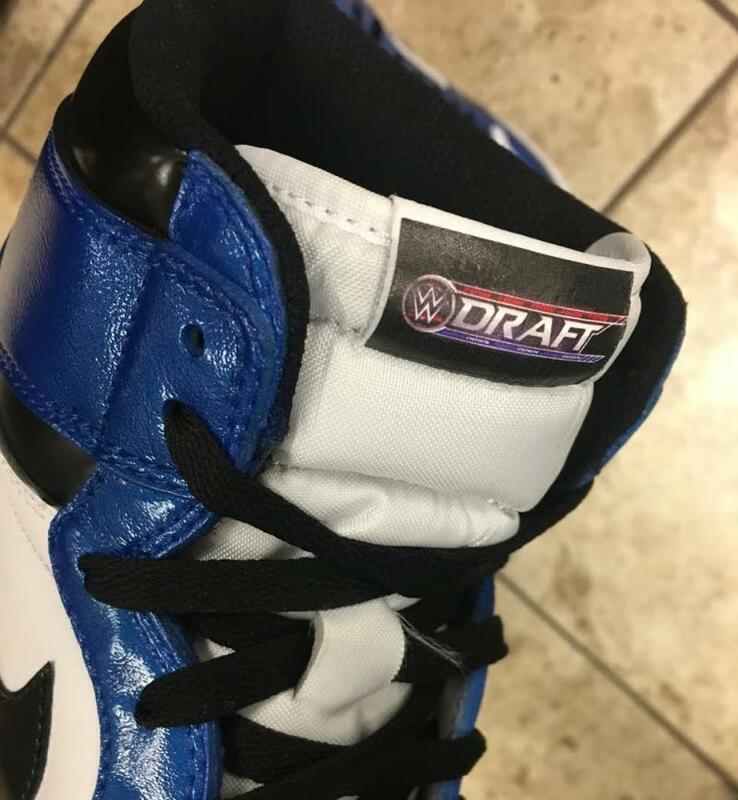 Mache also added custom WWE Draft tongue tags and Shane logos to the heels. 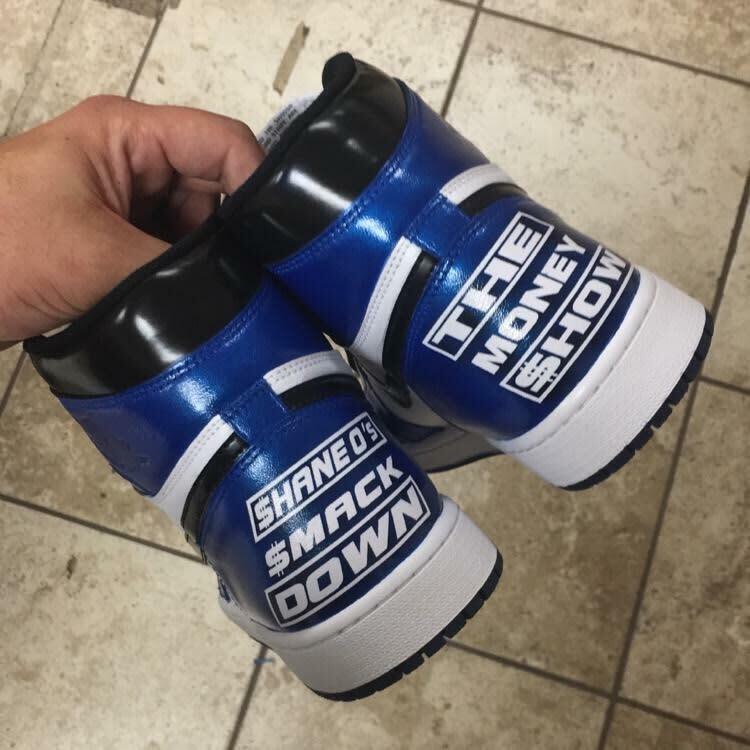 See Shane hit his signature shuffle in these custom Jordans on Smackdown tonight at 8:00 p.m. EST on USA.